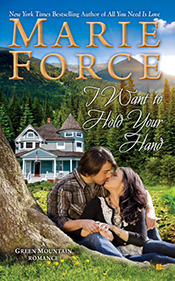 I loved the big, close-knit Abbott family and quaint small town setting I was introduced to in All You Need is Love (my review), so I was thrilled to dive back into this world with I Want to Hold Your Hand! I must admit, I was a little worried to pick up I Want to Hold Your Hand, because I thought Hannah would beat herself up with guilt over moving on romantically after losing her husband seven years ago. And while she does have some guilt, it was understandable, and it was never to the point of dragging the story down. It was a poignant journey, but an uplifting one. Hannah Abbott was shattered and numb for years after her husband, Caleb’s death, but she’s gradually come out of the fog. After seven years she finally can see past the crippling pain, and feels ready to move on. At thirty-five Hannah still has so much life to live and she knows Caleb wouldn’t have wanted her spending it alone. Deep down, Hannah’s known for a while that Nolan Roberts would be the man waiting for her. Nolan was one of Caleb’s closest friends, and he grieved hard when Caleb died, too, so in that way Nolan can understand some of Hannah’s feelings which was a tremendous asset to their burgeoning romance. Nolan loved Hannah as a friend forever, but it turned into more two years after Caleb’s death. He knew he was in for an uphill battle, and that Hannah may never be ready to move on. But there was never any choice for Nolan, because Hannah was the one for him. My heart went out to Nolan. To be so in love with someone who may never feel the same way back is a slow and heartbreaking torture. Thankfully, Nolan’s years of longing and patience paid off, and we get to witness the sweet and satisfying payoff play out! Sweet, satisfying and HOT! Marie Force definitely knows how to write some steamy scenes! The Abbott family is a big, caring bunch and it seems we have two mischievous members (Hannah’s dad, and grandfather) who are not above meddling to make sure their kids all get a HEA. Too cute, if you ask me! I can’t wait to see what they have planned for the other eight Abbott kids. 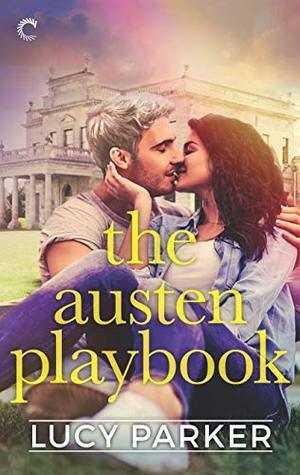 For those who loved Will and Cameron in the last book you’ll be happy to know we get a lot of them in this one, too. There are a few more romances in the works, at least three that I can think of. I must say that I’m not sure that I want a Megan/Hunter matchup in the future, because she was a right witch in the last book but even more so in this installment! I guess we shall see. Colton, the somewhat reclusive Abbott brother is up next in I Saw Her Standing There. The publisher provided a Paperback copy of All You Need is Love and I Want to Hold Your Hand the first two books of The Green Mountain series to one lucky winner! I'm making this an INTERNATIONAL giveaway! Simply fill out the rafflecopter below for a chance to win. 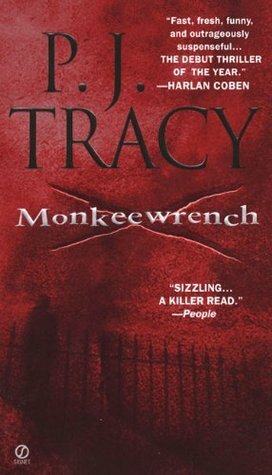 I read the first one in this series and really enjoyed it (though it was almost too sweet at times. I like a little more struggle, a little more of a battle). While the whole family was awesome (Grandpa! Love him. ), I really liked Hannah and am happy she has her own HEA. This sounds like a heartbreaking and hopeful book at the same time, Rachel. I love the sound of the romance especially. I've noticed that romances where the couple are linked together by some tragedy are always the most intense and powerful ones. I'm glad you enjoyed this as much as the first book, Rachel. thanks for the awesome post and giveaway!! I do enjoy small town romances b/c I like getting to know the "town" :) Thanks for sharing! I really don't have a favorite. I like all romance because it is above all my favorite genre. This series sounds so great. I'm glad you're enjoying them, and I hope to read them at some point! Thanks for sharing, Rachel! I love the small town setting and the heavy focus on family, and the mischief makers would likely be my favorites. I love Jill Shalvis' Lucky Harbor series. I downloaded a free copy of Marie Force's Maid in Love 2 days ago, and have now bought and read book two. I think I am going to like the McCarthys of Gansett Island Series just as much. I'm so happy you're enjoying the series, Rachel. Hannah and Nolan were so wonderful. And I loved the scenes with Will and Cam, too! (also not thrilled about a potential Hunter/Megan match) Cannot wait for Colton's book! I still laugh when I think of him hitting on Cam to anger Will! And for the record, I am not happy he shaved! I haven't even heard of this book before! I enjoy books set in small towns, but since I haven't read the first book yet I won't enter this giveaway. :) I'm intrigued by the idea of 8 siblings, though. And 8 possible books, wow. Not an absolute favorite, but I do love them. oh gosh this sounds beautiful and emotional. I really wanted to read this one but I didn't get a chance to read the first one so I felt like, I should have first maybe? Jill Shalvis's Lucky Harbor series is one of my favorite small town series! Series... I need your help!